Any one who reads Savarkar’s biography or his autobiography ‘My Transportation for life’ will immediately know the hollowness in these charges. Savarkar writes, “It was my duty as a follower of responsive cooperation, to accept such conditions as would enable me to do better and larger work for my country than I was able to do during the years of imprisonment. 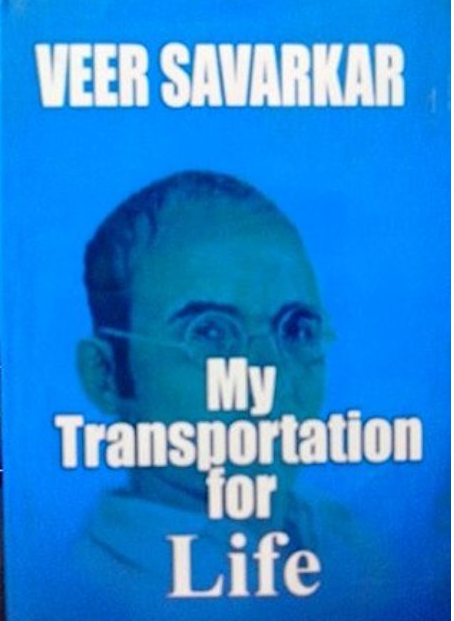 I would be free thus to serve my mother country, and I would regard it as a social duty.” (My Transportation for Life by V D Savarkar, page 301) also “Whatever good I could do in the Andamans or whatever awakening I might bring about among its people was nothing in comparison with what I could do in India as a free man. On the other hand, in order to win my freedom, I would not stoop low or lend myself to anything mean or treacherous such as would bring disgrace on my country or be a blot on her fair name. Freedom thus obtained would have harmed the cause and would have been, as I regarded it, an immoral act.” (ibid, p.245). Such was Savarkar’s motive behind his struggle for release. Savarkar was a true disciple of Chattrapati Shivaji. Shivaji too had sent similar letters and petitions to deceive the enemy as before the killing of Afzal Khan, during Siddi Johar’s siege and during his imprisonment at Agra. He had also accepted some humiliating conditions during the treaty made at the time of the siege of Purandar fort. However, Shivaji bid his time and avenged all insults when he became powerful enough. This is clever political stratagem. Vietnam’s Communist leader ‘Ho Chi Minh’ rescued himself from Kuomintang prison by sending similar kind of petition and assuring cooperation. He expressed his desire to Marshal Chang to work for ‘Dong Minh Hoi’ which was formed in Indochina with the help of Kuomintang government (‘Dong Minh Hoi’ was formed to oppose Ho Chi Minh’s ‘Viet Minh’ party). When World War I broke out, Savarkar sent petition to the Government of India in 1914. He averred that were the British to grant Colonial Self-Government to Hindusthan and majority in Central Legislative Council, revolutionaries would help Britain in the War. He gave instances of European Governments setting their political prisoners free and even those of the liberation of political prisoners in Ireland to prove his point. Also, he added “I offered to do without any release for myself personally. Let them release all the political prisoners in the country leaving me alone in my own cell in the Andamans. I shall rejoice in their freedom as if it was my own.” (ibid, p.187). This proves that his demands were selfless and made on behalf of all political prisoners in Andamans, without regard to personal welfare. “Still, for a stipulated period, I agreed to take no part in politics, that is, in active, day-to-day, politics. In prison, I could not, of course, do any Politics at all. But when outside I could do other kind of work, educational, religious and literary and serve my country in diverse fields. Generals, as prisoners of war, cannot conduct the war and come on the battlefield. They are let off on parole after signing the pledge, like Lord Krishna, who agreed that he would not wield any arms during the continuance of the war. And it is considered no humiliation on their part to do so, and they consider it their duty to do so, in order that, later on, their services might be available to their nation by way of leading and guidance in other work.” (ibid, p.302). 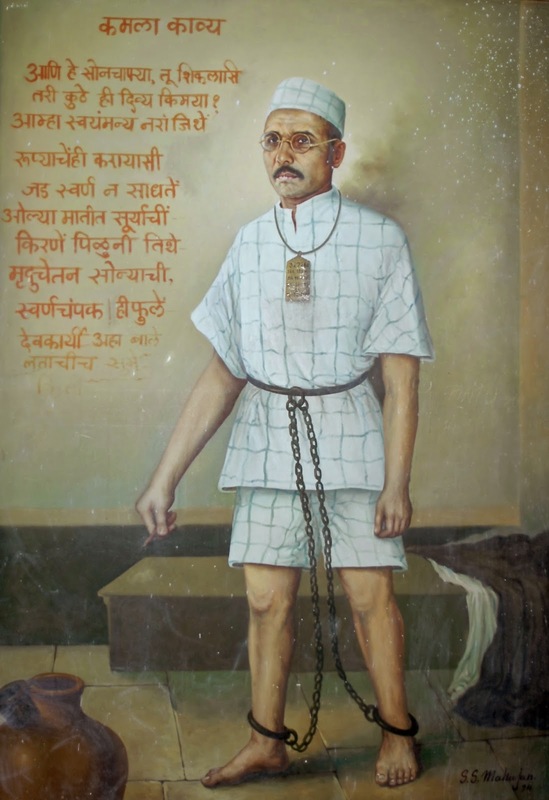 Savarkar did indeed pursue a vigorous campaign of social reform, reform in language and script, Shuddhi (purification or reversion to Hindu fold), scientific outlook as per the conditions of his release.In 1920, most of political prisoners in the Andamans accepted and signed such terms of agreement. “They would abstain from politics and revolutionary activity for a certain number of years and if again they were tried and found guilty of treason, they would come back to the Andamans to serve the remainder of their life-sentence.” (ibid, p.254). ”As to the question so often put to me and others by officers no less exalted than the members of the Indian Cabinet ‘what if you had rebelled against the ancient kings of India? They used to trample rebels under the feet of Elephants’. I answer that not only in India but even in England and all other parts of the world such would have at times been the fate of rebels. But then why did the British people fill the whole world with a howl that the Germans had ill treated their captives and did not allow them fresh bread and butter! There was a time when captives were flayed alive and offered as victims to Moloch and Thor and such other Gods of war!’ The thing is this that this advanced stage in civilization attained by man is the resultant of the efforts of all men and therefore their common inheritance and benefits all. All this clearly indicates that Savarkar was trying to deceive the British. Instead, some Indians are willing to be deceived. It is necessary to read ‘between the lines’ while reading political resolutions, letters and applications. Those who accuse Savarkar of cowardice or treason are either not capable or not willing to read ‘between the lines’. Savarkar never hid these letters or petitions. Instead, he detailed the political strategy behind the letters in his ‘My Transportation for Life’. Let no one make a song and dance that they have unearthed some State secret! Is it true that Savarkar apologized for his deeds to seek release from jail in Andaman Islands? No. He did not apologize for his deeds. Savarkar was sentenced to Transportation for Life, TWICE and sent to Andaman Islands to serve that sentence. IT DID NOT MEAN 50 years in jail. After serving a few years (usually 3 to 4) the inmates were allowed to go to work outside the jail and eventually settle on the islands. Savarkar was denied this even after serving 11 years. That was utter barbarity. In return Indian revolutionaries would cease all hostilities and help Britain in war effort. NO PLEA FOR CLEMENCY HERE. Due to outcry about prison conditions on the Andaman Islands the British Authorities decided to close the jail on the islands. Concessions were being made to prisoners who wanted to settle on the islands. But these were denied to Savarkar. He did want to settle on the islands. He was forcibly sent back to mainland India and kept in various prisons for further 3 years. Is it true that Savarkar’s health deteriorated in the Andamans and hence the Government was compelled to transfer him to Indian prisons in 1921? 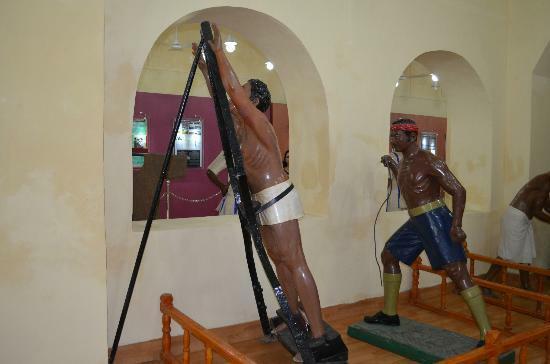 In Andaman no medical aid was ever given to political prisoners. British Authorities were absolutely callous in this respect. Savarkar’s elder brother Babarao suffered terribly. The Savarkar brothers were sent back to mainland India not because of failing health but because Government had decided to close down the prison settlement in Andaman, after several years of mounting public pressure in India. This entry was posted in Interviews, Nation and tagged Cellular jail, Savarkar, Savarkar Clemency Letter, Savarkar in Andaman jail, Veer Savarkar on October 20, 2017 by arisebharat.